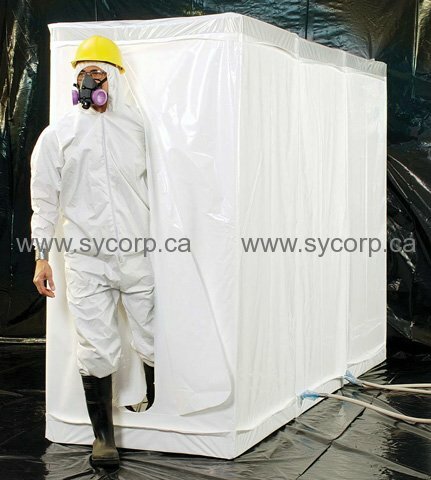 Grayling's D-Con is a low-cost, sturdy and disposable decontamination shower solution for abatement projects. The D-Con is available in several different configurations, from a basic two room kit that is used with traditional aluminum “pop-up” showers, to an extra large, fire retardant 3-stage unit that meets the NY city code for disposable shower enclosures. Support poles, drain water pick-ups and shower nozzle hardware are reusable and available separately.